This month at Altenew I am taking inspiration from this photo (taken in Portland when I was there earlier this year for our niece’s wedding). These flowers are simply gorgeous and I seriously wanted to use my ‘Morning Glory’ stamp set, but…. my BAF Peony Stamps and Dies hadn’t seen love in a looong time, so they won! Pastel colours are not my ‘go to’ so this was a little out of my comfort zone, so I added comfort with a Pale Gray Cardstock background. And a bold black sentiment using the negative space from the Signature Words Die Set. I can’t wait to see your take on the inspiration! 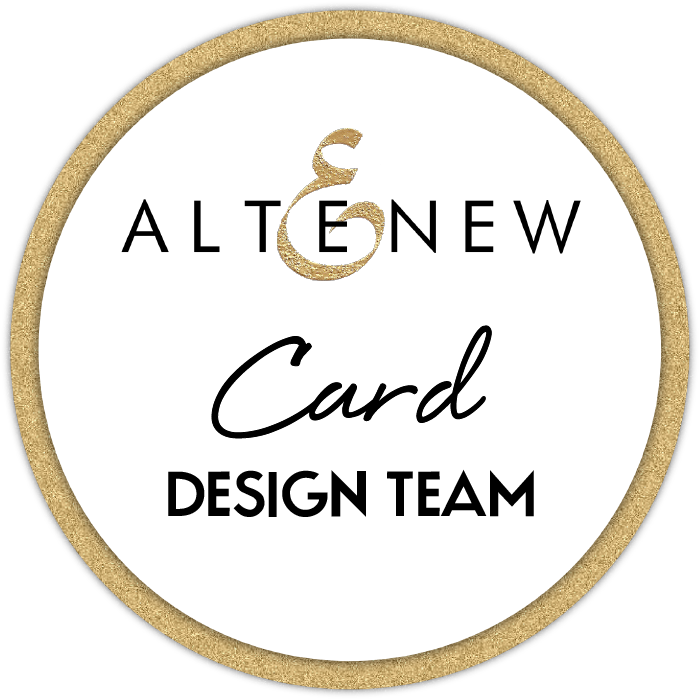 For all the deets and to join in the fun at this month’s challenge you can head over to the Altenew Blog. < Previous Video : Build-A-Flower: Anemone Coronaria Blog Hop & Giveaway! Lovely card! I’m not usually one for pastels either but, when it comes to flowers, I feel like anything goes! Your card turned out beautifully. It’s nice to know a card takes a little indecision sometimes. Videos make it seem like everything is always easy, which is not the case for my cards. Your card is so lovely. The black dot centres really add to it. Love your video style. Such a pretty card and I love the soft colours. I simply adore the flowers. I like the fact that these cards are made in very delicate and very beautiful colors that do not cause negative emotions and help to relax. I love how you arranged the flowers and your color palette is so beautiful, Therese! Thanks for inspiring me with your gorgeous card! Lots of wonderful details make this a stunning card! Love the contrasts of grey and black with the pastel flowers. You are so right… it works beautifully! Gorgeous photo and a gorgeous card, Therese! I love the way you stamped the little flower die cut! The layout with your lovely pastel flowers is spectacular, Therese. Another way to do multiples is to cut a square of cardstock and then stamp in each corner, putting the layers in the MISTI in a square so you just turn the paper for the layered stamping. Then you can die cut them. I hope this makes sense.